This is a heart warming story about what it truly means to love someone. This elderly man shows just how much love he has for his life-long wife and makes sure to have breakfast with her every morning for the past 5 years even though she has Alzheimer's disease. 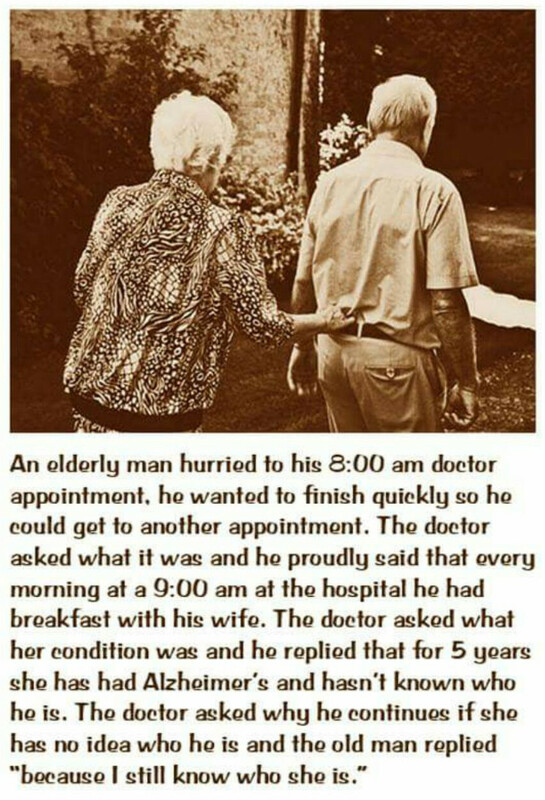 Alzheimer's disease is a devastating disease that causes a degeneration of the brain and even cause to forget much of a person's memory, including in this case of this elderly women, to forget who her husband has been for all of these years. But regardless of the man's wife not knowing who he is, he still shows us what true love is because he visits her all these years simply because he still knows who she is, which is his wife.